Spanish Cape is a dramatic promontory, its rocky cliffs topped with a picturesque hacienda. This isolated spot belongs to millionaire Walter Godfrey and it should be a peaceful family getaway—but one summer evening, Rosa Godfrey argues with her uncle David as he tries to convince her not to run away with one of their guests, the roguish John Marco. Suddenly, a one-eyed gunman appears out of the twilight. He seems to mistake David for John, and forces the pair to the mainland, where he clubs David on the head and locks Rosa in an empty vacation cottage. 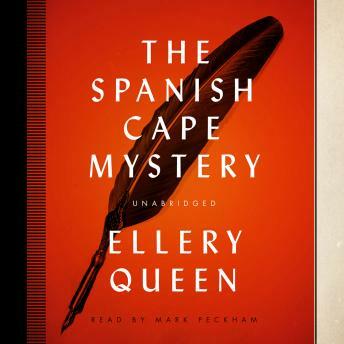 The next day, Rosa is rescued by the renowned sleuth Ellery Queen, who had come to the coast for a holiday. For a moment, it seems her luck has changed, but then the universe delivers another crushing blow. John has been found stone dead and stark naked. This will not be the first working vacation for the unfailingly logical Ellery Queen, but to unravel the mystery of the undressed man, he will have to make sense of what happened on the worst night of Rosa Godfrey’s life.